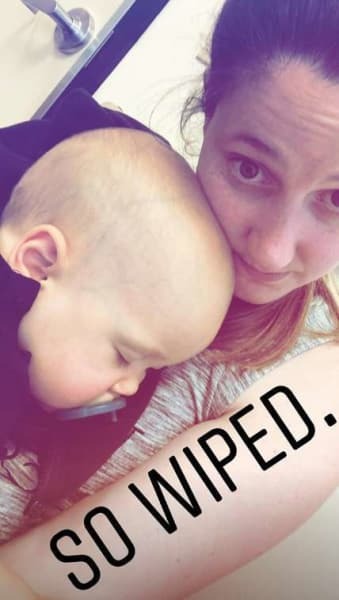 These four words sum up what transpired over the weekend for Tori Roloff and her husband Zach, as the reality stars were forced to rush their son to urgent care after he suffered a nasty fall. 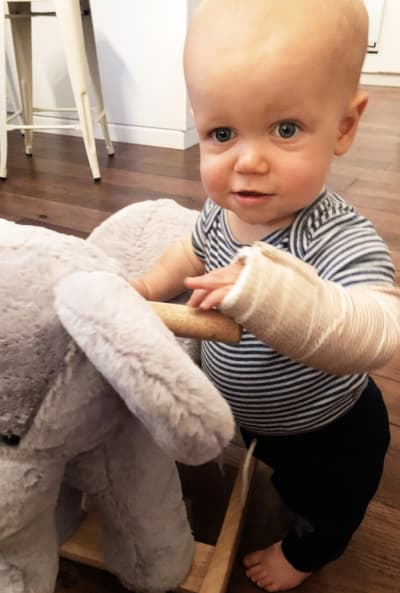 The Little People, Big World couple kept fans abreast of what happened via social media, with Jackson apparently taking a tumble while trying to walk. At 13 months old, this action hasn’t yet been perfected by the precious toddler. 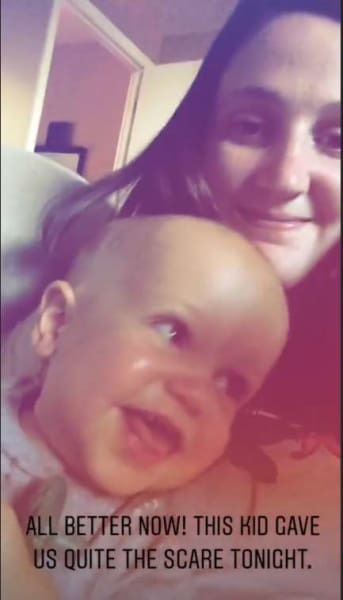 “Learning to walk is hard business for a 1-year-old,” wrote Tori in one slide on her Instagram story late Sunday. She confirmed in these posts that she rushed Jackson to see a doctor at a local urgent care as a result of his accident. “We think he might have dislocated his arm. But we’re all good now, just sore,” Tori added in this update. 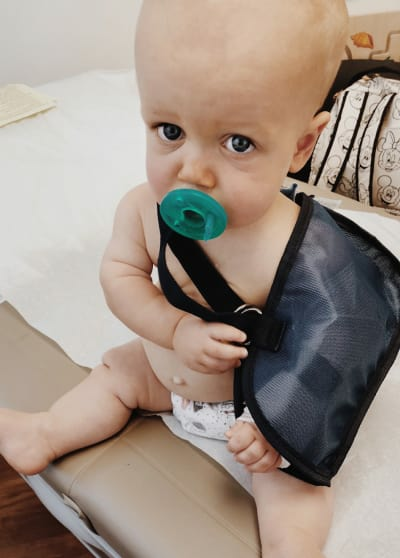 Following the frightening incident, Tori wrote a longer post about her firstborn on Instagram itself, including with it two photos of Jackson in a sling and/or a soft cast. When a doctor tries to “reduce” an injury, as Tori mentions here, that means he or she forcefully attempts to pop it back into place. This can be extremely painful for an adult, let alone an infant. It sounds like the family is stull unsure of a diagnosis and that X-Rays may still be needed. “This poor thing is stuck in a splint until we can know for sure. He has not let it slow him down though and is back to his happy smiley self-thank goodness! Of this, we have no doubt. Tori and Zach welcomed their first child into the world on May 10, 2017. They’ve since been kind and generous enough to share a bazillion photos of Jackson on Instagram, alerting followers to his every literal and figurative step along the way. 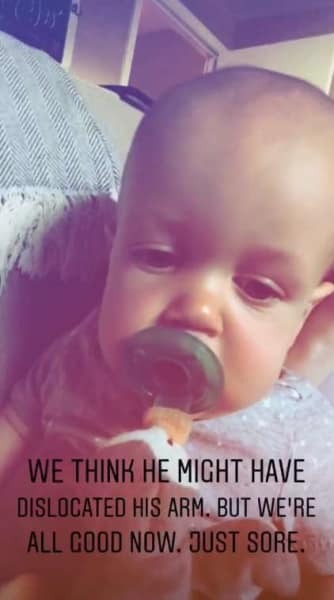 This is the first real injury he’s had to go through and, while we know how hard it is to watch one’s son or daughter in pain, Tori seems to be aware that things could have been worse. That said, Jackson was rather “wiped” on Sunday toward the end of this experience. The TLC tandem celebrated Jackson’s first birthday just last month, posting many photos of the adorable s’mores-themed party on social media for fans smile over. “It was exactly one year ago today at 8:00am that this perfect 9 lb 1 oz 20.5 inch long baby entered our lives and changed it for the better,” Tori captioned an Instagram photo at the time of her son lying on a blanket numbered for the first 12 months of his life. “This year has brought nothing but joy to our family and it’s all because of this guy right here. Taking this photo made me so emotional because it’s the last time I’ll set him down on this blanket to take his photo. The first of many things I have to let go of. 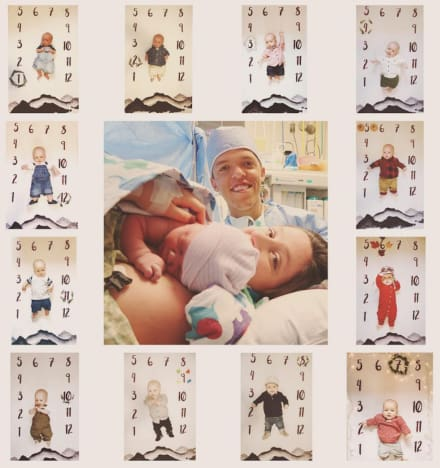 View Slideshow: Jackson Roloff Turns One! What Can He Do Now?!? Mariah Carey Butchers New Year’s Eve Performance: Twitter Reacts! Lena Dunham: I Wish I Had an Abortion!